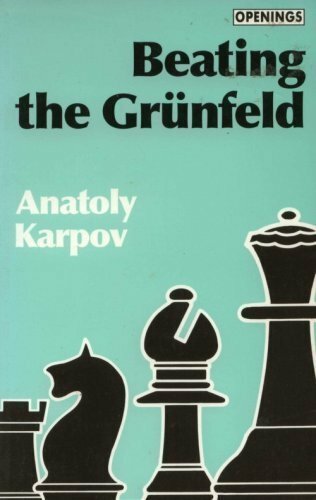 Since his surprise choice of the Grünfeld Defense in the 1986 World Championship match, Gary Kasparov has regularly adopted the Grünfeld in tournaments and matches around the world. Against Karpov, however, this opening has proved an unfortunate choice and Karpov has won more World Championship Games against Kasparov in this opening than in any other. Highlights of this book include: Original winning ideas against the Grünfeld; Unique insights into Karpov's World Championship prep­aration; Detailed coverage of key fashionable variations; Fascinating tips from a former World Champion. No ambitious player can afford to take on or play the Grünfeld.